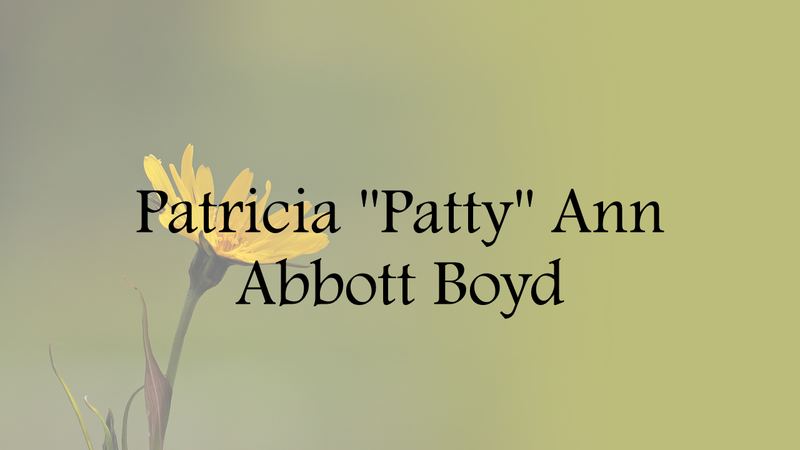 Mrs. Boyd was born on November 20, 1963 in Haleyville, Alabama. She graduated from Addison High School in 1983. Patty was a member of Pleasant Hill No. 1 Church. She enjoyed gardening, animals of all kind, and collected lighthouses. Visitation will be on Tuesday, March 19, 2019 from 6 p.m. until 8 p.m. at Nichols Funeral Home in Addison with services Wednesday, March 20, 2019, at 1 p.m. Pastor Steton Hayes and Brother Mackey Watts will officiate. Burial will be in Pleasant Hill No. 1 Cemetery.